Hey guys! 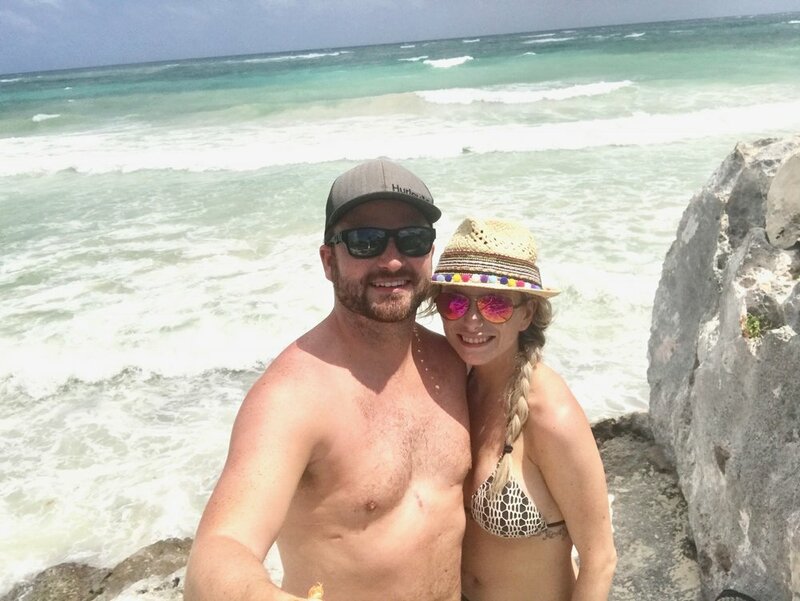 I'm SO excited to share my amazing experience in Tulum with y'all! 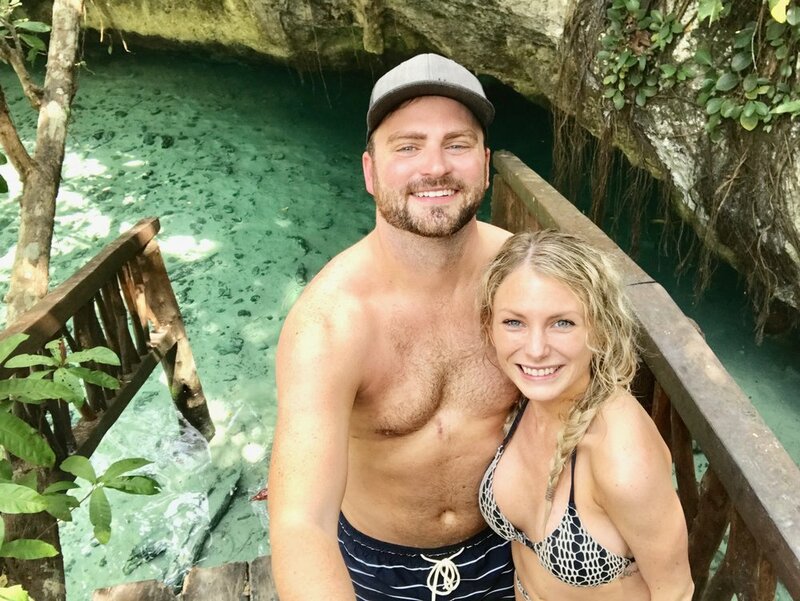 If you haven't heard of or been to Tulum I highly recommend this beautiful jungle, beach escape for your next vacation. 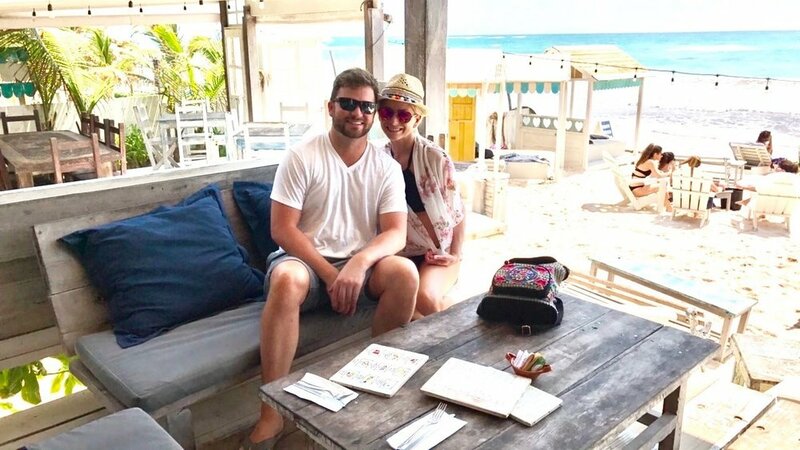 I'll be sharing some essentials that I brought, where we ate, my favorite beach clubs, where to take the best photos, what to wear, how to deal with your beach hair and what to do while you're there! Tulum is about 2 hours south from Cancun Airport. 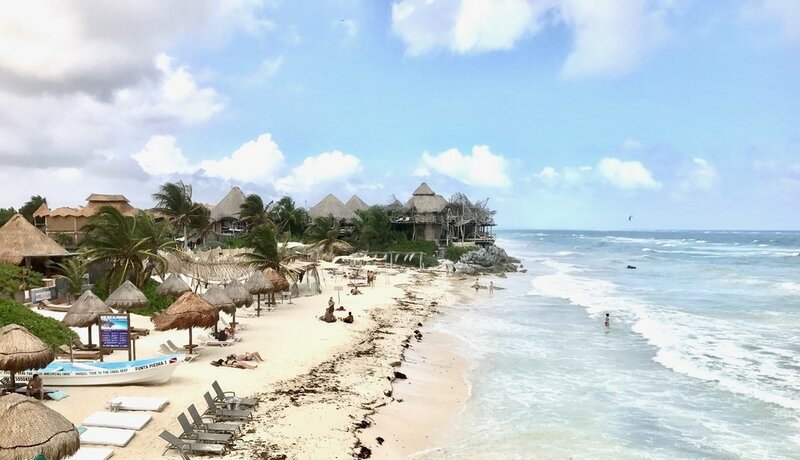 Tulum beach is beautifully authentic and untouched by modernized development like most of Cancun. It is separated by one small road, with the hotel zone on the beach side, and the jungle with bars, restaurants, and shops on the other. 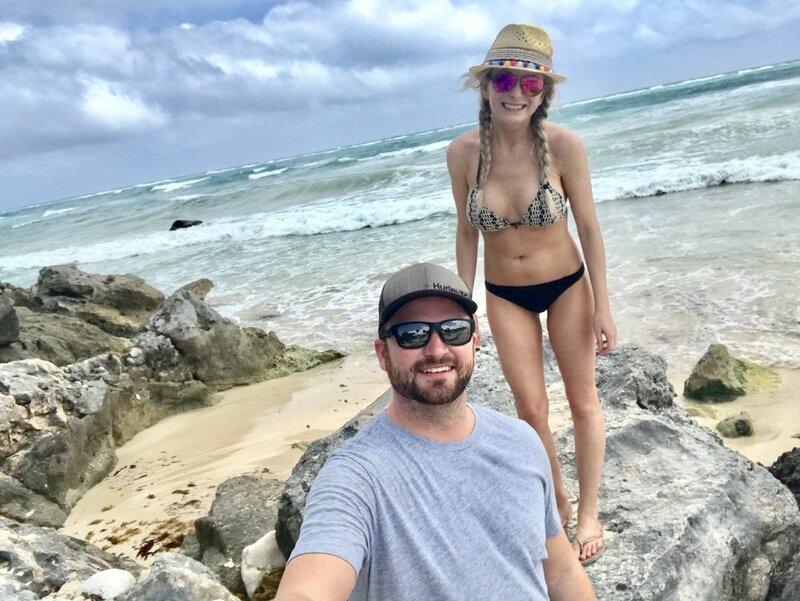 We had very little to no cell phone reception while we were there, which is exactly what we were looking for in a unwinding vacation to paradise. We felt very safe over the entire visit, and everyone we met was extremely friendly and helpful. Since Tulum is about 2 hours from the airport we were somewhat torn on how to get to our hotel. You can take a bus for very cheap, but it does stop along the way for other drop offs, so it would take a little longer to get to our destination. I'm sure this option is inexpensive and safe from what I've heard and read. We decided to rent a private driver from Cancun Airport Transfers so we could get to our destination fast and not deal airport crowds. Our driver was right outside waiting for us ready to go and he had a couple Coronas ready for us for the ride! For the way back home he came right to our hotel to pick us up and dropped us off at the airport at the exact time we wanted to arrive. I'm definitely glad we went with this service, it only ended up costing about $200 round trip, which I felt like was totally worth if for the convenience. My fav is Elta MD! 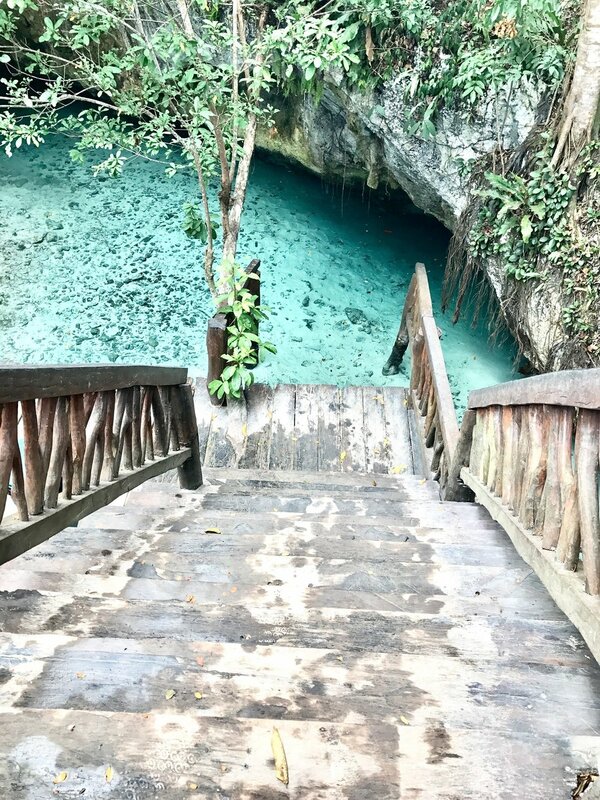 Need this If you plan on visiting the cenotes! Use this & Bring it with you at night! We forgot to put it on our last night there and it was the ONLY night we got bit up! Touristy I know, but I mean look at all the cute pics we got! 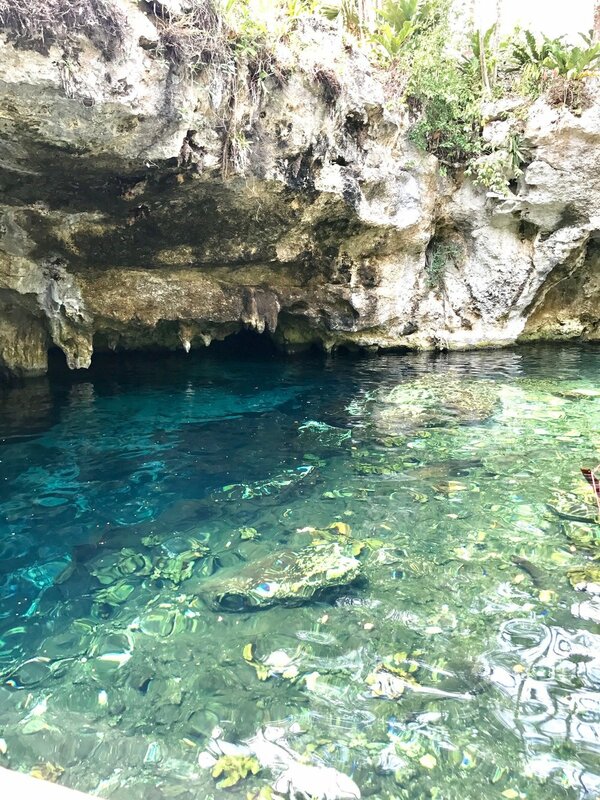 We found this Pelican Marine case on Amazon and totally came in handy for the cenotes, and beach pics! OMG totally came in handy after a day in the sun and Mosquito bites! I brought 3 hats because I'm an over packer and i just wore this one the whole time, no need to bring more if you're trying to pack light! I got this hat from express, I can't find it online anymore but click here for a similar one! I just brought this one below from Buckle, which came in handy for sure! I wore it every day, but I did wish I had brought another to alternate with. Towards the end of the trip this one was pretty salty! I liked alternating out my bathing suits every day while the other one was drying out. You can never have too many bathing suits! DRESSES, ROMPERS, JEAN SHORTS, CUTE OFF THE SHOULDER TOPS AND ONE LIGHTWEIGHT SWEATER! I wore jeans on the airplane because I get cold, but other than that I mainly wore my bathing suit and beach coverup during the day and wore my dresses, rompers or off the shoulder tops for dinner at night. I brought one lightweight sweater, I wore it once and probably could have lived without it, but I'm glad I brought it along! Heres some outfits I wore during the trip! If anyone overpacks makeup and hair tools for a vacation, its me. 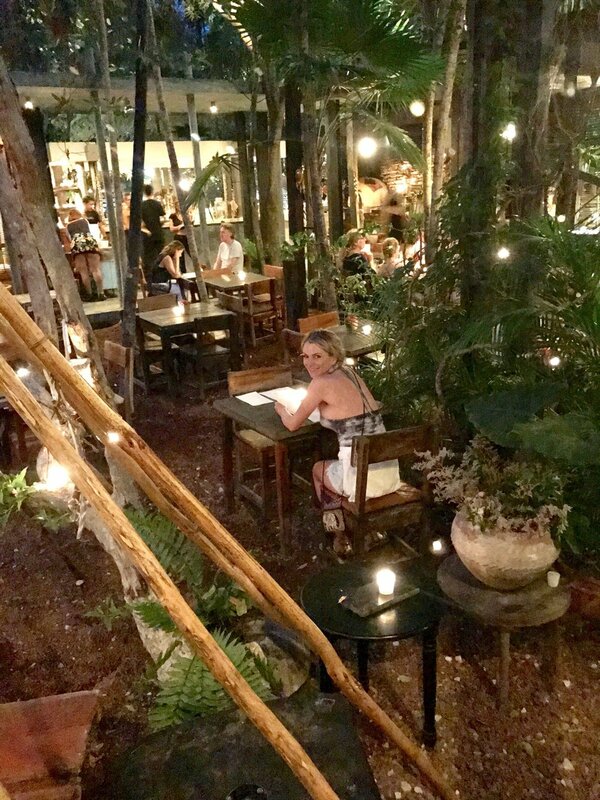 But in Tulum the restaurants are so dark at night you don't need much makeup, also most of the town is without electricity, making it hard to put makeup on in your room before you leave at night. It was nice taking a break from the everyday life of getting ready for an hour, embracing the laid back lifestyle of Tulum and not doing my hair and makeup everyday. I also didn't use a blow drier, flat iron, or curling iron one time. With all the sand and salt water there was no reason to spend time blowdrying my hair. My hair is curly, frizzy, terrible in humidity AND I have extensions! I was so worried my hair would look like a mess! Rewet my hair with a TON of 7seconds leave in conditioner and my U-OIL, scrunched it to get a little wave, and put it in a braid, two braids or a top knot. I found that the sea salt from the ocean and shower dried it out enough to help with frizz. For makeup I put on a little mascara and my Elta MD tinted sunscreen and thats it! Rinse my hair with conditioner if I didn't wash it, and repeat the above. I wore it in 2 braids most of the time I was there. For makeup I put on my RAE Climate control foundation (amazing for humidity) a little bronzer, a little eyeshadow from one of my naked palettes and Mascara! 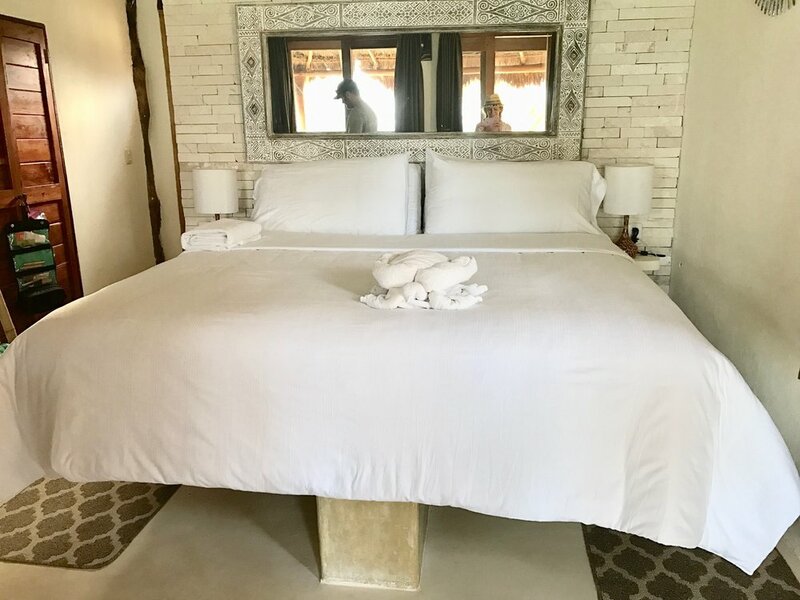 We stayed at Rosa Del Viento and absolutely loved it! I would definitely stay here again. Our hotel was literally the very last hotel along the hotel strip, about an hour walk or a 10 minute drive up to the main part of the beach. We had a beach front, ocean view room and was absolutely incredible. I would highly recommend this hotel. Food- The food and drinks were just okay compared to other resorts but this also wasn't really a big deal to us since we explored other restaurants and beach clubs anyway. 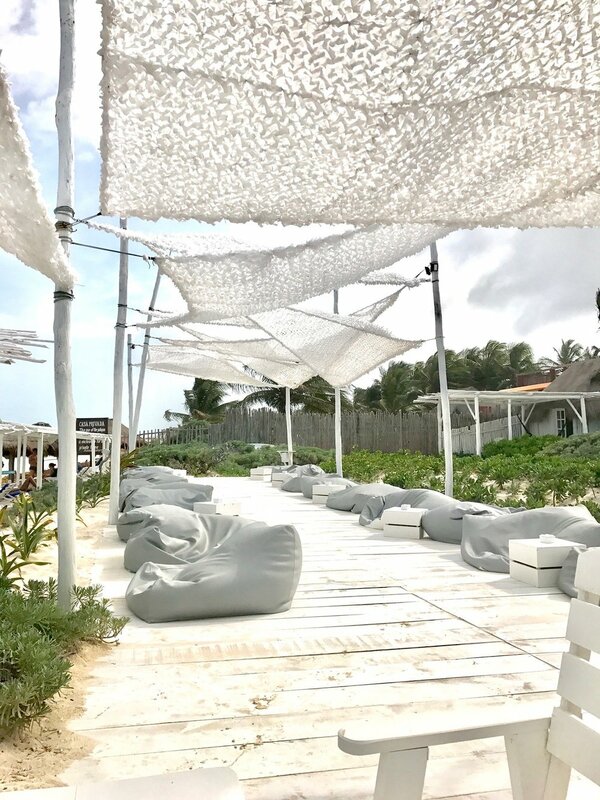 The most picturesque beach club with swings aligning the beach! Try to make it there at sunset! Ziggys has GREAT service and is also super cute at night! They have comfy chairs and a little fire pit close to the beach. Make a reservation wayyy in advance to reserve a spot! 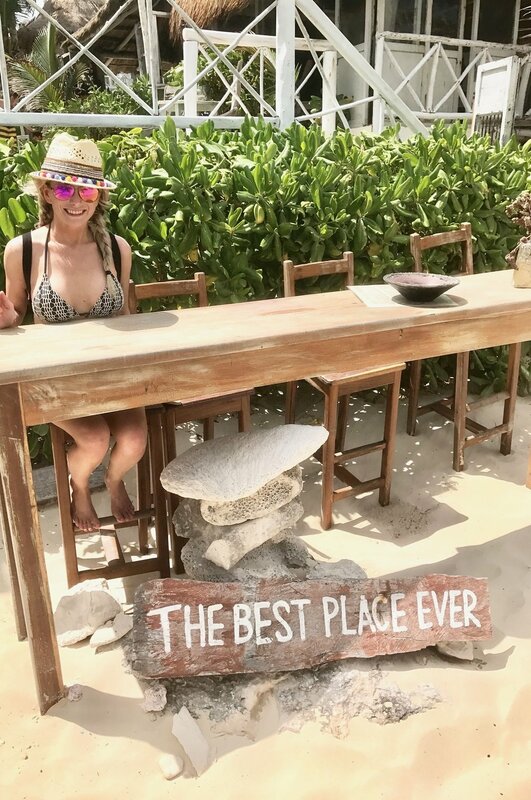 Most popular restaurant in Tulum! We went here a couple times for lunch as well! They have great drinks, and awesome tacos! Brunch was great! Never made it for dinner, but it is a popular spot for dinner as well. Get here a little early for dinner, around 6-7. We couldn't get in after 7:00 while we were there, and they don't take reservations! Best place we went for Brunch and also the BEST fish tacos I've ever had! Literally just lay on the beach during the day, in a hammock, on a beach bed, or in a big beach pillow. 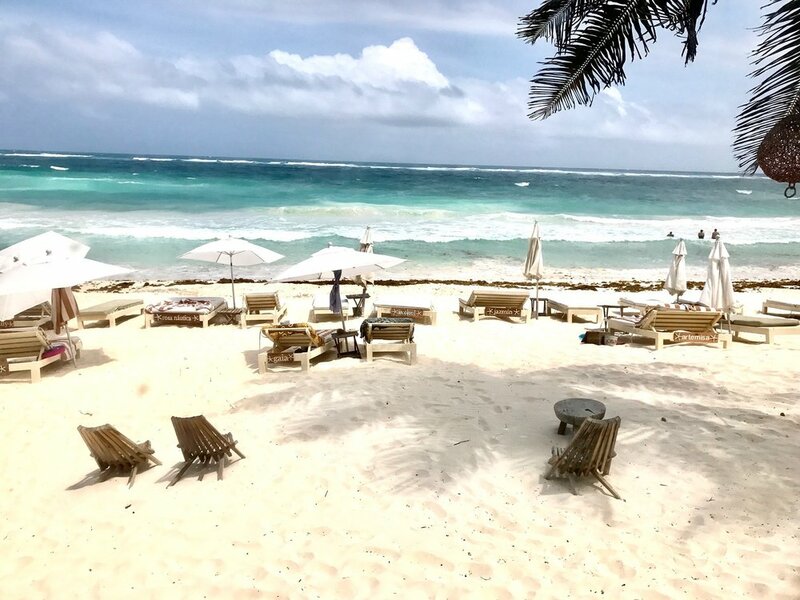 The best thing about Tulum is how quiet and relaxing it is. So just find some time to lay out by the ocean waves and unwind. Explore the beach clubs during the day and explore the jungle restaurants and shops at night! 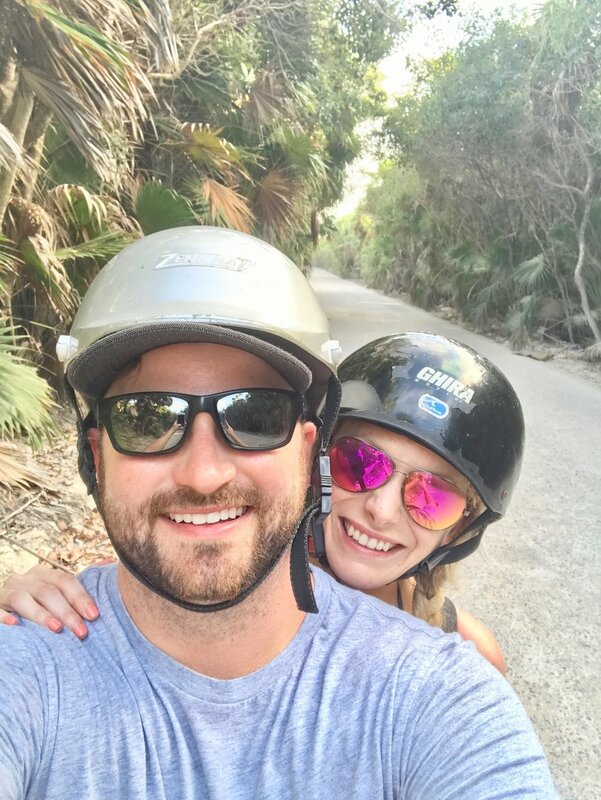 We like to explore, so we drove our moped to the downtown part of Tulum on the way to Grand Cenote, it was fun to see the authentic shops and very authentic restaurants away from the hotel zone. 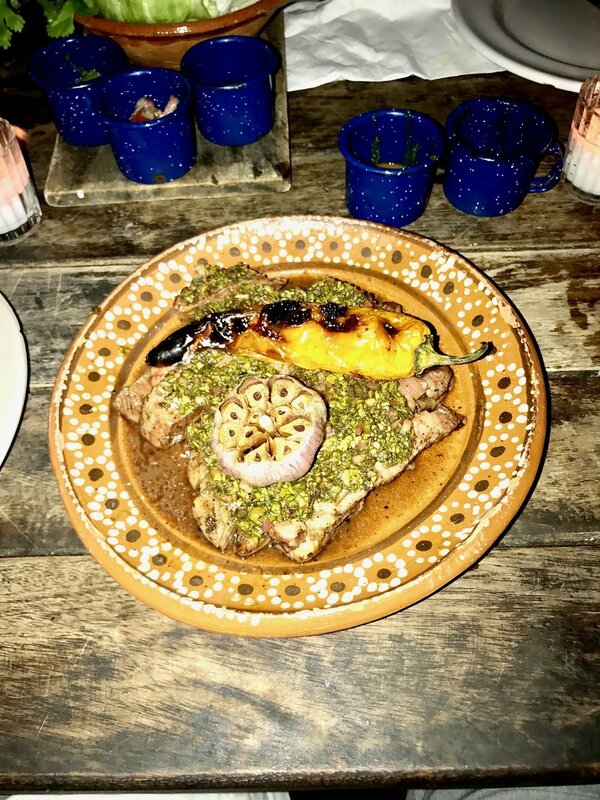 We didn't eat anywhere, but there are a few very authentic hidden gems here. I would ask your hotel concierge for recommendations. We didn't do this on this trip, lots of crowds and it would be an all day event but if thats your thing. its definitely worth checking out! 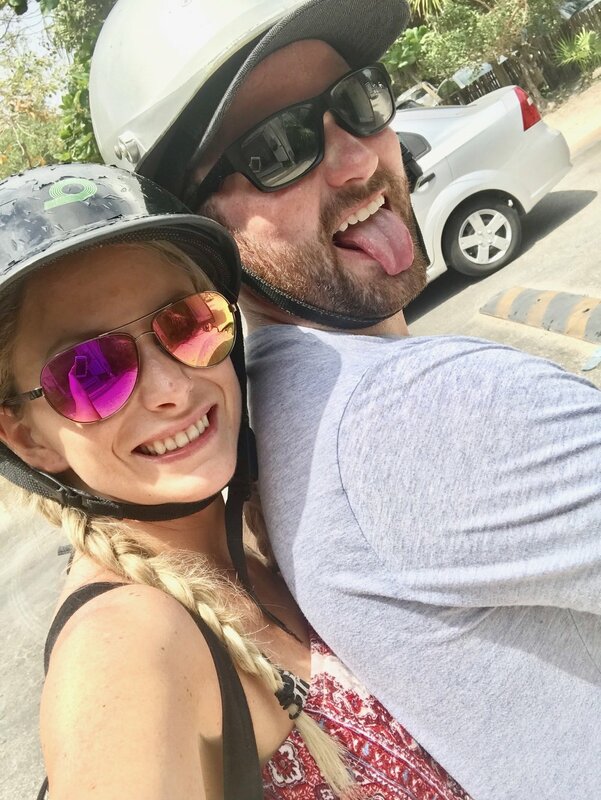 Drive a moped down the jungle road or go on a jungle tour! 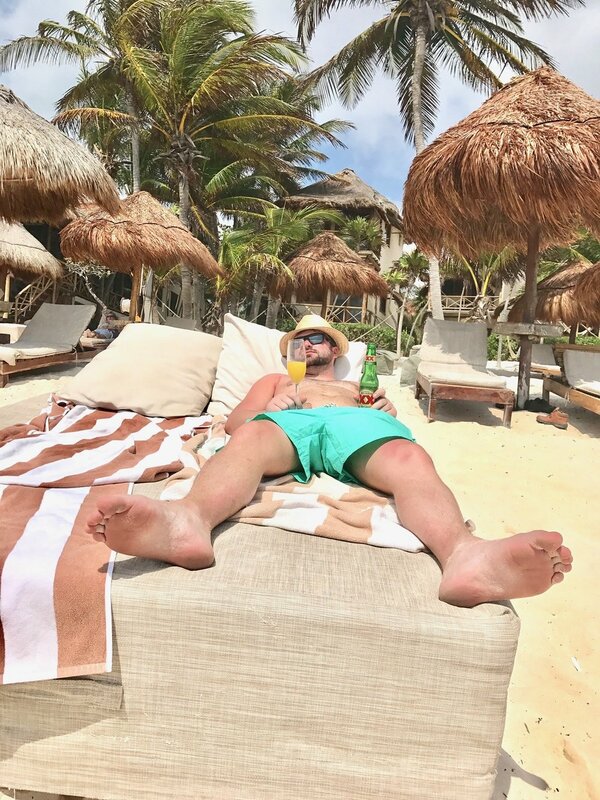 I hope you guys enjoyed this in depth guide to Tulum! If you have anymore questions feel free to leave a comment below and to see more of my adventures follow me on instagram @hairbyallyfeezel!